Ten minutes drive from my office is the biggest traditional medicine market in southern Africa. On any one visit, thousands of plant species, and hundreds of vertebrates, can be seen in a sweeping glance – but rarely are the ‘Big 5’ African mammals that dominate the #IWT debates, found. Instead, millions of plants harvested from rapidly declining populations are piled on pallets and sold to customers ranging from self-medicating citizens, to urban and rural traditional healers. 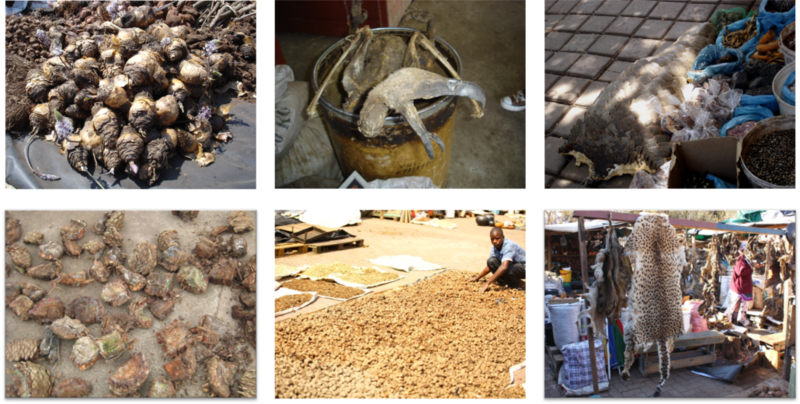 As one walks through the market, the air is punctuated by the distinctive smells of the herbal medicines and odorous animal parts in various stages of decomposition. Reflecting on 27 years of monitoring wildlife trade in southern Africa, I’m bewildered by the seemingly unquenchable and exponential trajectory of pernicious trade that threatens thousands of species across continents and cultures. At times, my science feels impotent to address the pressing issues pertaining to species risk in the context of rural and urban socio-economic factors driving trade and exploitation. 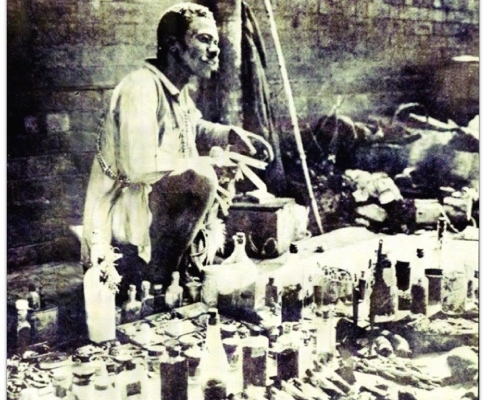 Historical records for South Africa show that by 1915 the herbal medicine trade had become commercialised. By 1898, several species had become locally extirpated due to collection. The trade was further entrenched with the migrant labour system from the late 1800s, which prompted a corresponding trade in culturally familiar species from ‘home’ to supply an urban demand. 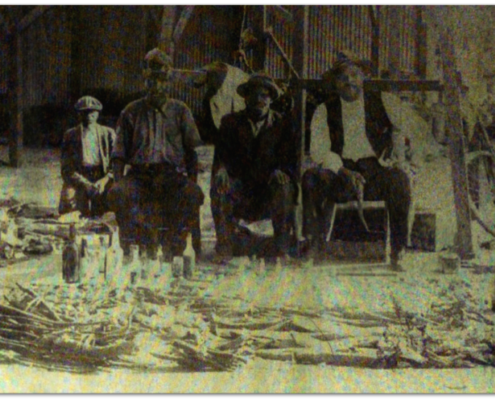 In 1933, an observer wrote: “One shop I visited…contained 250 bottles of medicine…Hanging around the shop were numerous fresh bulbs, roots, branches, leaves and portions of bark, besides the skin of a porcupine and lizard and the skull of a small mammal, a dead bird and a sand shark”. By 1946, Reverend Gerstner, having witnessed 40–50 large bags of bark railed more 265km to Durban, expressed concern for the impacts commercial sales of 100–200 species of medicinal plants were having on wild populations by thousands of herbalists. Currently, more than 2100 South African plant species are used for traditional medicine, of which a third are regularly traded in markets. Additionally, over 230 vertebrate species are traded. Over the last century, medicinal wildlife use has evolved from being the restricted domain of traditional healers, to a thriving trade and the principle source of household income to a multi-national network of harvesters and traders. Persistent harvesting of preferred species, however, has put many species at risk of extinction. Since ethnomedicine is also a source of income to healers, harvesters and traders, resource scarcities consequently affect primary healthcare provision (especially in areas lacking western practitioners) and livelihoods. The 2001 survey of 100 market traders challenged my views on IWT and led to my appreciation of the personal circumstances and motives of people directly involved – many of whom are from the most marginalised rural communities. I also became cognizant of needing to suspend judgement; disapproval over exploitative practices does not support families or influence constructive dialogue – especially when most market traders are widowed/single/female and from impoverished single-income households. These trends are similarly evident in other markets, but differ along the continuum of subsistence to commercial use and trade. In southern Africa, economic uncertainty, high rates of unemployment, high values of traditional medicines, and other factors, have exacerbated the problem and contributed to the unsustainable harvesting of economically valued natural resources. Hence, conservation is as much about people as it is about species – which introduces multi-faceted social complexities into solutions necessary for conservation problems. Judging from the voluminous trade in hundreds of millions of individual plants and animals, harvested and hunted, the sale of wildlife is undoubtedly a roaring trade – whether it be the thousands of cycads stems cut down and debarked, or hundreds of vultures poisoned, pangolins descaled, and leopards hunted. It’s an incessant trade that extends to hotspots throughout Africa, and globally – a consistent challenge. Part of the challenge is confronting the grim realities. It’s also a field disturbingly fraught with dichotomous debates, worldview clashes, uncorroborated judgements by social media, critics, scientists, lay stakeholders and others alike. In the face of such censure, I often wonder how many critics have invested uncounted hours conducting primary research and engaging with harvesters, hunters, healers, and consumers to hear their perspectives. Regardless of one’s personal opinions though, a prerequisite for good science is assimilating information in an unbiased way across the spectrum of stakeholder opinion. Since most conservation problems are embedded in complex socio-ecological systems, they are essentially ‘wicked’ and generally “lack clear solutions because each problem is linked to other problems”. Furthermore, the “multitude of conflicting perspectives…and management goals can make the problem almost impossible to…solve, to the satisfaction of all stakeholders”. Wicked problems are also characterised by solutions that should be viewed as “better’ or “worse” by consensus. However, proponents of particular solutions frequently only acknowledge one side of the problem and will vigorously defend that side. This represents a challenge to those seeking to determine appropriate management actions by way of collaboration, especially if some stakeholders are “personally invested in pursuing a particular solution”. Is there a solution to this complexity? I do not know. However, I view IWT as a multi-faceted Rubik’s cube, where solving for ALL sides of the problem in a logical and persistent manner is necessary. That said, confronting the drivers may require all interested parties to explore both scientifically and socially popular and unpopular views and agree that not all components are necessarily accessible to, nor solvable by, them alone.